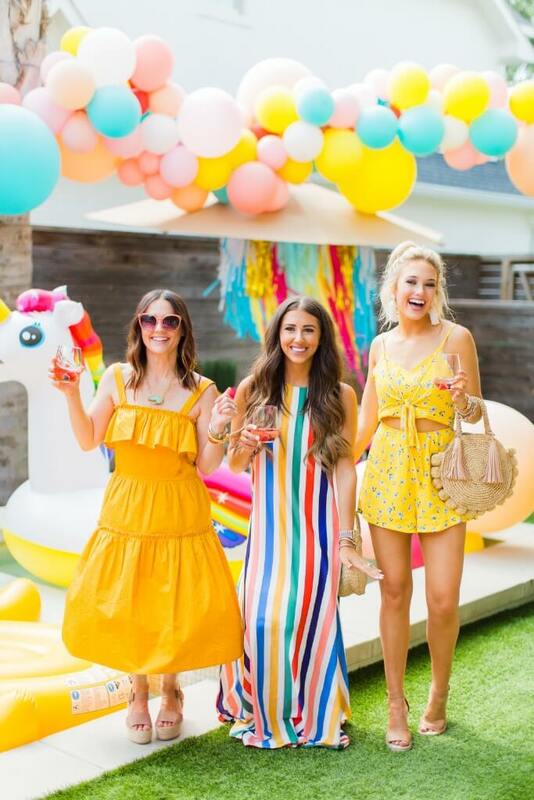 We recently hosted the most colorful backyard party anyone has ever seen with Ashley Rose from Sugar & Cloth. 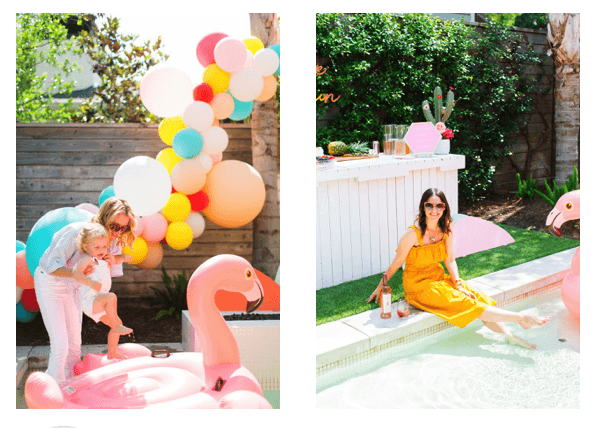 While we didn’t do it alone, we did do something by ourselves before all the pool floats, balloon banners and yummy treats showed up – and that was design + build this pool and outdoor space for a family who loves to entertain. Thinking about updating your backyard space? Keep reading for our advice. First things first, you have to answer the question “how do I want to use my backyard?” Swimming, reading, grilling, putt-putting… How you plan on using the space will dictate the design and what special features you decide to add. Figure out what is most and least important to you and go from there. Keep in mind certain add-ons come with added costs + ongoing maintenance expenses. If you opt for a pool, there are a variety of features you get to choose from. Saltwater vs chlorine, WiFi or remote control, heated, cooled, hot tub, wading area, water, light and fire features are just some of the options you can opt for when designing a pool. Additionally, the shape and layout are very important to coordinate with finish materials and decking, so we bring in experts to consult on your overall design to ensure it’s everything you want and more. 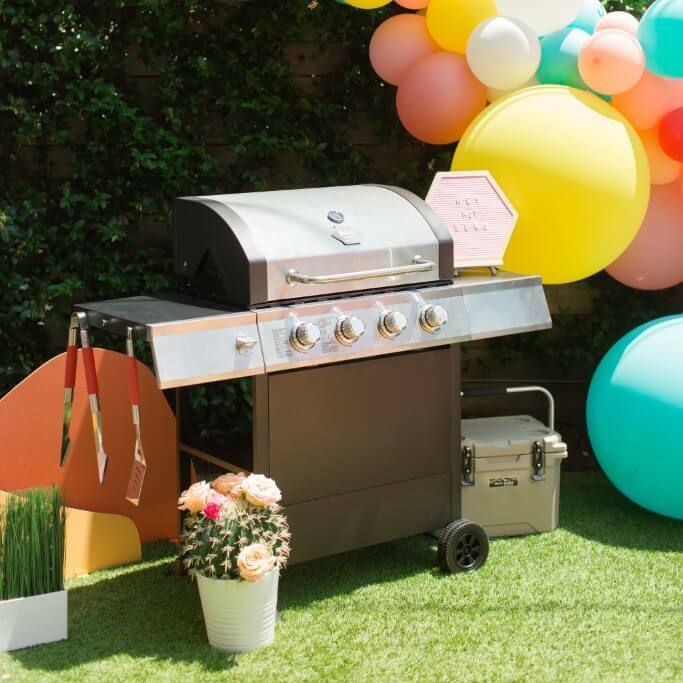 If you like to cook and grill-out, there are a variety of ways to incorporate an outdoor kitchen into your backyard. You can add a full built-in summer kitchen complete with a built-in grill, sink, prep space and additional outdoor appliances. If you want more flexibility in the space, we’re seeing more homeowners opt for a multi-use island and stand-alone grills or Green Eggs. Nothing says luxury like perfectly trimmed, bright green grass all year long with no green thumb or lawnmower required. If you want to win yard of the month, consider installing turf instead of traditional grass sod. It comes in a variety of textures so you can get the perfect aesthetic and with weed resistant layers and water drainage system, it’s a breeze to maintain. 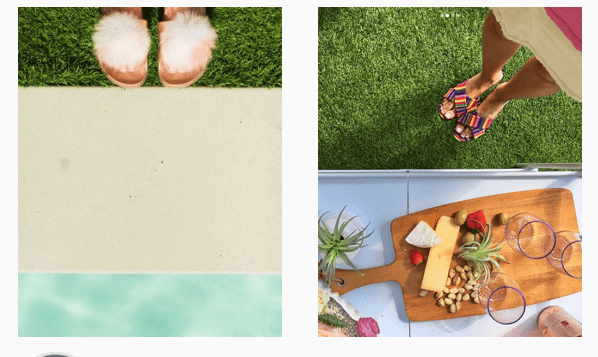 Plus, it’s kid and pet-friendly and nearly impossible to tell it’s not real grass. You’ve heard us say indoor-outdoor living is a trend that is here to stay, so it’s no surprise we urge clients to consider a covered seating area. With Houston sun, having a covered place to sit down and enjoy a glass of wine is a must. From outdoor dining tables to porch swings and comfy couch seating, make sure you have enough room to gather together. This is especially true if you like to entertain. It’s always an added bonus if you work in a fireplace (gas or wood-burning) and a TV + speaker entertainment set up, too! 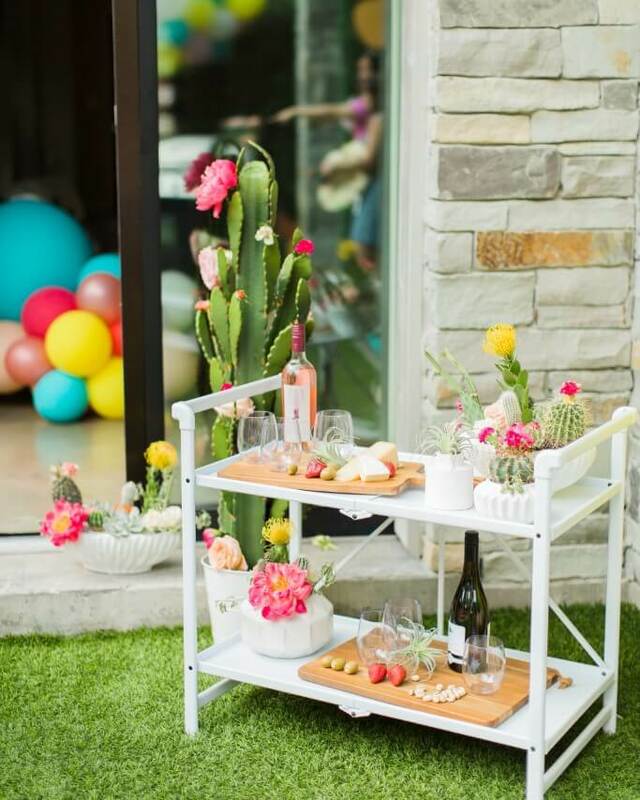 Many thanks to Sugar + Cloth for decorating and styling this backyard for a perfect summer get together. 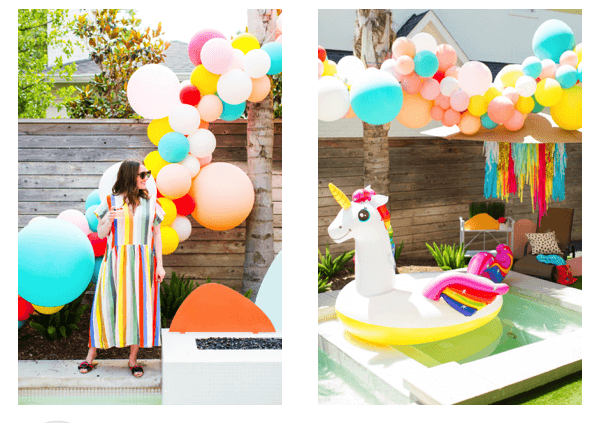 Check out Ashley’s blog for tips on hosting an epic summer pool party as colorful as this one. All Photos are courtesy of Sugar + Cloth and Carrie C.
Learn more about On Point Custom Homes Design + Build process and browse our different design styles today!